If you know me at all, you know that my interests in beer and religion are both relatively high. That’s why when I came across Castle Church Brewing Community in Orlando, Florida I jumped at the opportunity to report on the “brewery church” for the Religion News Service (RNS). Beyond the surface phenomena (and all the beer+religion puns like, “frothy faith”) there was a deeper resonant story at Castle Church that I wanted to tell — a story of church changing as we know it, of 30-somethings looking for home, and issues surrounding notions of class, gender, and race. What can a “brewery church” tell us about American religion? American Christianity? Why — at this moment in time — is such an idea popular let alone feasible? Who might be attracted by such a model? Why? Who is potentially marginalized by such a model? Women? People in the neighborhood north of Orlando International Airport that can’t afford craft beer? Good ole’ Florida boys looking for a Budweiser? Is this just a place for cis white males who want to play Settlers of Catan, drink beer, and debate Augustine? These questions and conversations are still fermenting in my own mind (sorry, couldn’t help another beer pun!) and I don’t have any ready answers after my reporting. Furthermore, each of the people I interviewed for this story — Rev. Jared Witt, Dr. Annie Blazer, Jeremy Carnes, and others — had also thought about these issues and had some weighty and worthwhile comments to make on each. With that in mind, I invite you to share your thoughts, send your questions, or post a comment on this blog or at ReligionNews.com by clicking the link below. I never set out to be a writer. That was never the intention. My original goal was simple, if audacious: I wanted to make the world a little bit smarter when it comes to the topic of religion. I wanted to combat what Stephen Prothero famously coined, "religious illiteracy." I still do. That is why I started writing with Houston Chronicle in 2010, that is why I joined the Religion News Association (RNA) in 2011, and that is why I continue to be a part of that fantastic organization. RNA is the premier journalism association for people who write about religion in the news media. We offer training and tools to help journalists cover religion with balance, accuracy and insight. Because of this mission, RNA does a lot to combat "religious illiteracy" and to build capacity for "religious literacy" through media production and publication. Its members do radio, broadcast television, and write for everything from local papers to metropolitan magazines. They do the hard yards of reporting on religion in a world that seldom seems to understand it. And they do it with class and verve. I am always impressed by the caliber of my colleagues in the RNA and no more so when I get to be a part of the process of choosing our William A. Reed Lifetime Achivement Award recipient each year. This year is no exception. At the 69th Annual RNA Conference in Columbus, Ohio (September 13-15, 2018) we will honor Ann Rodgers for her many years of dedication on the "God beat" and her tireless service to the RNA. In addition to serving as president of the RNA during a time of significant transition and growth, Rodgers faithfully served on the religion beat in New Hampshire, Florida, and finally in Pittsburgh, Pa., for more than three decades. Her career covered papal transitions, evangelical scandal, and an increasing diversity of faith expressions that caught her attention. To read the full profile of Ann and hear from those who worked with her click the link below. Also, as you feel inspired by Ann's work I highly encourage you to join me in Columbus, OH for the RNA Conference. If you care about religious literacy and accuracy and fairness in religion reporting then this is the place for you to be. LEARN MORE HERE. What is the Shia-Sunni Divide All About? In his address in Saudi Arabia on Sunday, May 21, while calling on Muslim leaders to lead the fight against terrorism, President Donald Trump identified Iran as a despotic state giving safe harbor and financing terror in the Middle East. As Iran is a Shia state and Saudi Arabia a Sunni-led country, some media outlets criticized Trump for taking sides in the Shia-Sunni sectarian divide. Several years ago I got the chance to attend the Religion News Association's (RNA) conference in North Carolina. At the time I was blogging for the Houston Chronicle's "Houston Belief" blog. Little did I know that attending that conference would propel me into writing for publications like The Washington Post, Newsweek, and Huffington Post. I can't thank the RNA and its leadership enough for the opportunities this network of religion beat reporters gave me. That's why I am honored to serve on the RNA Board as Treasurer and especially humbled to be the point-person for the selection of our William A. Reed Lifetime Achievement Award. The William A. Reed Lifetime Achievement Award was created in 2001 and is presented to individuals who demonstrate exceptional long-term commitment and service to the Religion News Association and its members, and to the field of religion newswriting. Thirty years ago Cecile Holmes started working on a beat that some find downright strange. Starting as the religion and food writer at the Greensboro News and Record in Greensboro, N.C., Holmes was quickly captivated by the beat. Latina/o Muslims continue to garner attention in the news. Deservedly so. They are among the fastest growing demographics of growth in global Islam -- particularly in the U.S.
Ryan Schuessler, reporting from Houston, recently covered a Cinco de Mayo festival held at the Islam in Spanish mosque in the Bayou City. I was honored to be interviewed for the piece to provide my contextual knowledge and perspective. Here's a sampling below...or read the FULL ARTICLE HERE. In his research, Chitwood has found that most Latino Muslims are converts from Christianity. Central and South American countries are heavily rooted in the Roman Catholic church. I am humbled & honored to announce that I was recently awarded an Evangelical Press Association (EPA) Higher Goals Student Writer of the Year award. My piece, "A 'Radical' Response to Islamophobia," published in the August 2015 edition of Sojourners Magazine won 4th place in the Student Writer of the Year category. As the EPA gathered in Lancaster, PA for its annual convention my friend Peter Slayton -- LCMS Social Media Manager -- sent me a message that read, "Congratulations on your EPA award." It was a surprise to me, but a welcome one. Thank you to Sojourners Magazine, Betsy Shirley for editing my piece and nominating it, and to those who participated in the interviews for the article (Wilfredo Amr Ruiz, Ruth Nasrullah, Jon Huckins). I also encourage you to find and read the other award winners for more great content! Terrorism. Violence. Extremists. Bombs. The list could go on. When asked why, the crowd collectively concurred that the media over-reported instances where Muslims committed acts of violence, avoided calling non-Muslim violent extremists “terrorists,” and generally did a poor job of covering Islam. Louis L'Amour -- the American novelist -- once said, "Knowledge is like money: to be of value it must circulate, and in circulating it can increase in quantity and, hopefully, in value." It is one thing for me to share my perspective and knowledge (whatever that is), but personally -- as an educator -- my true joy comes from when I see students get actively engaged with the topic. Discussing. Dissecting. Debating. Entering into the discourse on religion, culture, & the interaction between the two. Right now I am teaching a course on "Religion & the News." The first assignment asked, "Why religion news?" Why is religion newswriting, commentary, and analysis important? Why is religious studies a valuable area of research and reflection? One of my students took that assignment and used it as a catalyst to create her own blog. In the spirit of circulating knowledge and encouraging a public discussion of religion in the news, I want to share it with you. In September 2014 I wrote an op-ed for Sojourners about why Westerners join ISIS. The piece focused on sociological factors behind some Westerners’ choice to devote themselves to such a violent group. Needless to say, the piece attracted attention. Most notably, an ISIS supporter contacted me on Twitter to let me know what I got wrong. The exchange with @DarAlHaq, who had an ISIS flag as his cover photo and regularly posted photos and stories from the front in Syria and Iraq, was removed within minutes of it occurring. Fortunately, I took screenshots of our conversation. Further, within days, I had conversations with representatives from the Department of Homeland Security and faced extra scrutiny while traveling in the Middle East in summer 2015. The American Society of News Editors has paid close attention to, and been part of the conversations concerning, the Cybersecurity Information Sharing Act (CISA). According to the ASNE, the bill would broaden the amount of digital information held by the government, reduce privacy protections allowing law enforcement to obtain information they deem “cyber threat indicators,” and protect from disclosure anything relating to cyber threat indicators. The definition of what these “cyber threat indicators” might be include just about anything relating to cybersecurity whether or not disclosure of that information actually constitutes a cybersecurity threat. As part of my research on global Islam and in-line with my news reporting, analysis and commentary as an active member of the religion beat, I regularly engage with members of so-called “Islamic extremist” groups, download material such as ISIS’s Dabiq magazine, and interact with “Islamophobia” organizations and communities. I am sure that some of you, my fellow religion newswriters, are involved with similar activities. While I understand the necessity of paying due attention to the online activities of potential terrorists — both foreign and domestic — in a digital age where violent extremists are able to use digital media to their nefarious advantage I am increasingly wary of efforts by governments to have their noses so firmly pressed into our digital business. Whether we are academics or journalists we must be wary of legislation such as the CISA bill that could unilaterally curtail our privacy, fair use capabilities and journalistic freedom and integrity. Already, the government is active online and watching for keywords and triggers that indicate the poorly explained “cyber threat indicators.” My story intimates as much. With that in mind, I am aware of the risk I run in engaging in such research online. I think we all need to be properly attuned to the intricacies of homeland security measures and the danger they pose on our beat, especially as it is related to research and reporting on religious extremist groups. At the same time, let us thank our stars that, thus far, we don’t have to register with the government if we want to download Dabiq (as is the case in the United Kingdom, for example) or fear further vicissitudes of government surveillance. As members of the RNA I believe we should stand behind the ASNE and its vigilant watch over the proceedings in Congress concerning CISA and the potential threat it poses to our journalistic and academic endeavors. I adjure you to follow along as well and be part of the ever-growing group of editors, journalists and others who are voicing concern. *This piece originally appeared as part of the Religion Newswriters Association E-Extra Newsletter & is reprinted here by the author. Today is the day! For the next 15 weeks over 30 students and I will explore the ins-and-outs of religion reporting and how to analyze, critique, and comment on religion news. Such a class, and conversation, is vitally important in this present moment. It is impossible to think about religion without noticing the news. It is impossible to be a journalist without understanding something about religion. Religion is at the center of multiple headlines and news stories the world over. Whether it is politics, personal issues or the palpable effects of religious extremism in the public sphere, religion plays a significant role in the world. To ignore this fact is to do so at our peril. How do we make sense of these stories? How do we critique the coverage or question the approach of the journalists? How could we play an active part in producing and analyzing such news? These questions will help participants cover the importance of religion reporting in an age of simultaneous religious pluralism and illiteracy and discuss news as a primary portal for knowledge about religion. It aims to give students an opportunity to give voice to why they report on religion, from a personal perspective and familiarize students with the multiple representations and expressions of religion, discussing how we can define religion in a pluralistic age. Students will also get the chance to know what resources, methods and theories are available for religion newswriting and then to write and publish blogs, articles and analysis pieces for public consumption. This is not a passive class with a theoretical end, but an active class with practical and real-time applications and assignments. The hope is that students will find value in this course as we attempt to appreciate religious diversity and seek to develop objective religious observation and reporting. All the while, we will not deny real religious differences, nuances in coverage and the need to appreciate local stories in dynamic dialectic with global trends. This will help journalists, or analysts, avoid dogmatism and instead promote reports on the mutually shared human quest to understand the transcendent, share it with the people of the world and do so from a perspective of generous curiosity, humble awe, and equitable scrutiny. I invite you to take a look at the SYLLABUS for the course and to stay tuned as students post religion news content, analysis, and commentary on our course website, which I will link to on this blog. If you have any questions, comments, or want to "audit" the course let me know! At this time we are often antsy for the beginning of a New Year. We are filled with anticipation for the opportunities that the turn of a calendar page may bring. Too often, we do this to the neglect of the year that was, that which gave birth to the year to soon come in all its expectation. At the same time, we love our highlight reels looking back on the year about to end. In that spirit, these are the Second Annual Religion & Culture News Awards celebrating the best, and the worst, of religion news in 2015 submitted for your perusal. Enjoy and be sure to comment and share! *Read 2014's list, or explore 2013, 2012, 2011 or 2010’s lists. ISIS' expansion of their reign of horror beyond Syria and Iraq into Egypt, Lebanon, Libya, and France shook up fears of terror that were stoked by waves of migrants fleeing wartorn Syria. In the U.S. and Europe the twin spectres of terror and immigration awoke anti-Muslim rhetoric and calls for bans on Muslim migration. Unfortunately, these stories commanded the headlines in 2015. I wrote on these topics frequently. Too frequently in fact. Undoubtedly, these narratives will continue to dominate in the year to come. While I would hope such headlines would fade into the annals of history they will almost certainly remain relevant. The aim at KenChitwood.com is to provide as balanced, and thorough, a perspective as possible for you to learn, explore, and discern religion news stories throughout the world. Having delved into Christianity with the Dante’s Divine Comedy series (Chronicle Books, 2006), artist Sandow Birk turned his attention to Islam in American Qur’an (Liveright, Nov.). In the book, one of PW's best books of 2015, Birk illustrates the Qur'an, using American life as the backdrop for the sacred writings—from the fields of Iowa to the beaches of Southern California. I had the opportunity to catch up with the graphic artist, who is not religious, to learn more about this nine-year project. READ MORE. Knight (The Taqwacores) invites readers into “the desert of the real Islam,” offering a deconstructionist take on Islamic texts, tradition, transmission, and theology and re-constructing what it means to be a Salafi in the 21st-century. READ THE REVIEW HERE. Manseau takes on the stubborn myth that America is a “Christian nation” and re-constructs American history as a religiously pluralistic adventure. In Salvation with a Smile: Joel Osteen, Lakewood Church, and American Christianity Phillip Luke Sinitiere — Visiting Assistant Professor of History at Sam Houston State University — courses the history, development, and manifestation of Lakewood's strengths and storm of debate surrounding it and placing its narrative firmly within the story of American Christianity in general. I had the opportunity to speak with him about the book, his research, and Lakewood's "salvation with a smile." READ MORE. Through excerpts from missionary journals and evangelical periodicals, Heyrman uncovers early American evangelical encounters with the world of Islam surrounding the Mediterranean at the beginning of the 19th century in this fascinating study. READ THE REVIEW HERE. Honorable Mention: What is Islam? by the late Shahab Ahmed. The recently deceased scholar Ahmed (Ibn Tamiyya and His Times) offers a bold notion of what Islam is, one that stands in stark contrast to popular, traditionalist, and radical notions. Taking a cosmopolitan, far-reaching approach to millennia of Muslim history, poetry, music, science, philosophy, theology, and practice Ahmed reconceptualizes Islam as a hermeneutical engagement comfortable with the contradiction of its own diversity and immense variety. READ THE REVIEW HERE. In a war weary world facing the wraith of climate change and wrestling with big-man politics the world over, the film Mad Max: Fury Road came to stare us in the face with the worst of what we’ve become. Even so, it offered a vision of hope in the heart of the very worst — faith amidst the flames, tenacity trumping terror, hope in the depths of hell. Oliver joins a long list of parody religions, "antibelief systems," and "authentic fakes" like Church of the Flying Spaghetti Monster, Church of the Almighty Dollar, Disciples of the New Dawn, and the Discount House of Worship in registering a scathing satire of established religions in an effort to critique or call into question the proposed abuses, miscues, and false claims of religion. READ MORE HERE. The year’s biggest news story was also its most contentious as acts of terror coupled with fears of “the other” to throw gas on the fire of anti-Muslim rhetoric and Islamophobic sentiment. Political leaders pulled no punches in proposing blatantly xenophobic policies and the public provided fuel in popular support. As the year comes to a close there are headlines across the U.S. — from Texas to California, from Wisconsin to Florida — of molotov cocktails, graffiti, and arson attacks at mosques in the U.S. This is not the best of us. This is not in the spirit of religious freedom our nation was founded upon. We must continue to combat such bombastic religious illiteracy and hatred. It’s time for a ‘radical response’ to Islamophobia. Even as hate seems to rule the headlines (on all sides), I had the pleasure of talking with Michal. She is doing inspiring peacemaking work with Christians and Muslims. She wrote of her calling, “I'm passionate about helping local churches effectively interact with the Muslim community around them; overcoming stereotypes/fears/misunderstandings, share faith and work together for the common good. I do this through my PhD research, the many grassroots events I organize with Muslims and Christians in California, and the documentaries I'm working on.” Her film “People of Peace” is an example and inspiration for us all. READ & WATCH MORE HERE. Why so serious? Religion news is too often overwhelmed with severity and seriousness, writers and readers far too impressed with our mutual attempts to sound significant. Every once and a while, we need a good laugh. Here comes Jim Gaffigan to the rescue. I had the pleasure of being interviewed by the Religion News Service about Jim Gaffigan’s take on Catholicism. READ THE ARTICLE and then go watch the clips. They are simply fantastic fun! These were the top posts in terms of traffic this year. Check ‘em out and revisit the year that was! 4) Will Cuba soon get its first mosque? The Holy Qur'an Experiment Video is Viral, but is it Helpful? Islamophobia is a problem. Not only does it lack a nuanced perspective concerning lived Islam—in all its dizzying complexity—it also takes shape in both vitriolic rhetoric and physical violence against Muslims. Its roots are founded in ignorance of “Islam 101” and a fear of the religion as a fundamentalist figment of Western imagination. While the sentiment behind the “experiment” is laudable—trying to show people that prejudice precedes much of our judgment on Islam and other world views—the methodology is defunct and even dangerous. My fear is that instead of combatting religious illiteracy, such efforts could be compounding the problem. To dispel such misconceptions about Islam, the Dutch YouTube sensation Dit Is Normaal conducted “a social experiment” disguising the Bible as a Quran and hitting the streets of the Netherlands to ask people their opinion of certain verses. The video then went viral, with nearly 6 million views so far. Everything is bigger in Texas, so they say. The food, the football, and even the faith-communities that make up Texan lives and localities are larger than life. In Houston — the state’s largest city — religion is blooming, booming, and burgeoning in a stunning array of diversity. From Caucasian Khalsa converts to Sikhism to Coptic Christians, Latina/o Muslims, and “God Bless America” Southern Baptists, Houston has it all. It is also home to Lakewood Church — America’s largest megachurch. Home to 43,500 worshippers every Sunday, Lakewood is led by Pastors Joel and Victoria Osteen. A non-denominational and charismatic Christian church the congregation offers English and Spanish services every weekend in the Compaq Center, the former home of basketball team the Houston Rockets. Osteen also comes to American homes via television broadcasts, books, and speaking tours in local stadiums. Through his megachurch pastoral work and mega-personality Osteen has courted both celebrity and controversy. In Salvation with a Smile: Joel Osteen, Lakewood Church, and American Christianity Phillip Luke Sinitiere -- Visiting Assistant Professor of History at Sam Houston State University -- courses the history, development, and manifestation of Lakewood's strengths and storm of debate surrounding it and placing its narrative firmly within the story of American Christianity in general. I had the opportunity to speak with him about the book, his research, and Lakewood's "salvation with a smile." What made you want to research Joel Osteen, his church, his family, and his context? It stems first from my interest in American religious history, cultivated initially by the late Terry Bilhartz (1950-2014) when I was an undergraduate history major at Sam Houston State University. I first became interested in Joel Osteen as a scholarly subject in 2005, much of it through the work of Andrew Chesnut on religious economy, when I was in graduate school at the University of Houston. I realized, just as Lakewood Church was moving into the Compaq Center in July that year, that a national story was brewing in my hometown, and I didn’t have to travel far to do research! Although I found archival materials all across the United States, early on I recognized that the history of my hometown, Houston, might have something significant to say in relation to Osteen’s story. How does this present research fit into your previous work? The final sentence in the chapter on Joel Osteen in my first book Holy Mavericks reads, “While scholars of American religion continue to debate the significance and influence of popular pastors and ministers, one thing is certain: Joel Osteen will offer salvation and a smile to anyone who shows up, tunes in, or logs onto Lakewood Church.” So, in many ways the present book builds on and extends earlier research on neopenteostalism, the prosperity gospel, and contemporary American religion. What was your personal experience with Lakewood? I tend to think of my “personal experience” with Lakewood in terms of the people I met, and how I processed my experiences and framed my research in light of scholarship on American religion. There’s no doubt that “Joel Osteen” is a historical and cultural construction and “Lakewood” is an institution as much as it is an idea that is part of America’s religious landscape—ideas I attempt to unpack in the book—but I spent my time researching Joel Osteen and Lakewood not in pursuit of just understanding the congregation’s leaders, but also people who constitute the congregation itself. Overall, the time I spent at Lakewood introduced me to some interesting, fascinating, and sincere people who were willing to share some of their time, resources, and their stories with me. (More on that below). In addition, my own internal dialogue and thinking about my fieldwork was very much in conversation the work of scholars such as Kate Bowler, Robert Orsi, Susan Harding, Manuel Vasquez, T.L. Luhrmann, James Bielo, Gerardo Marti, and so many more. I’d also respond to your question this way: I began attending church services and different Sunday school classes as a participant observer starting in the fall of 2005, and continued on and off until early 2014. I also attended two Evening of Hope events in Texas during the course of research, so I could experience a kind of portable Lakewood. While I never considered myself a church member in any sense, I typically introduced myself as a researcher and scholar, explained why/how I got interested in the topic of Lakewood and Joel Osteen, and thus tried to understand and grasp the Lakewood “experience” in my participation in and observation of congregational activities. This sustained participation and my analysis of it in the book, I hope, provides a robust picture of what Lakewood was/is outside of the telecasts or podcasts. This sustained presence at Lakewood also proved instrumental in forging relationships and friendships with members and attendees, without whom I could not have finished the book. While not everyone spoke on the record, and while not everyone granted my request for an interview or conversation, members and attendees who did (most of whom are pseudonymous in the book) offered interesting and fascinating insight into congregational life at Lakewood Church. And several people I interviewed also loaned me or gave me printed materials, photographs, and/or old VHS videos and cassette tapes of John Osteen sermons. So in many ways I am in great debt to certain Lakewood members and attendees who chose to share their thoughts, materials, and life stories with me. Did you get a chance to visit the bookstore? On one occasion I did and came across a wide variety of books that aren’t “on message” with Joel Osteen ministries. How do you think the eclecticism of the bookstore reflects on Lakewood Church and Osteen? In many ways, I’d say the bookstore fits like a glove with the space that is Lakewood Church, as well as with the general contours of the smiling preacher. What I mean is this: the bookstore is professionally done in the sense that it is like other chain Christian bookstores such as Mardel or Lifeway. One finds the latest Christian bestsellers (some of which are Joel’s books!) in both fiction and nonfiction, along with Christian t-shirts, necklaces, Cross décor, music, study Bibles, etc., plus a substantial section of Spanish language items. Of course, the sheer business of the place, and dynamics of economic exchange also prompt thinking about the entanglements of the prosperity gospel, religion, and class. Yes, the bookstore disseminates and provides materials for religious education and spiritual enlightenment while it also traffics in the supply and demand chains of capitalism. The bookstore is also large and expansive, which works as a nice metaphor for Lakewood and Osteen’s place in America’s religious landscape. It is hard not to miss, regardless of your opinion about Osteen or Lakewood. Finally, the array of materials—you allude to books by evangelical writers such as John Piper, John MacArthur, or even Albert Mohler that sit alongside titles by the novelist Frank Peretti, or prosperity teachers like Joyce Meyer, Joseph Prince, or T. D. Jakes—crosses denominational lines, transcends national borders, and is seemly inclusive of the wider boundaries of modern Christianity. It fits with Osteen’s expressly nondenominational outlook, a perspective adopted from his father John Osteen. I think you are absolutely correct on this point, Ken. Data are hard to find on Lakewood’s revolving doors, so to speak, although some of the Pew research on “religious switching” captures broader trends and may suggest ways to think about what this means longitudinally. I only have qualitative research to present on this question. In my interviews, individuals described going to Lakewood to find new inspiration—your “port of return” descriptor—most especially from the music, whether it was Cindy Cruse Ratcliff or Israel Houghton. One woman I interviewed, as I explain in “Teri’s Story” in chapter 7, had hit rock bottom in her life and attended Lakewood for a psychological and existential boost. But once her life stabilized, Teri said she longed for more rigorous teaching in sermons, so she ended up leaving Lakewood and settled at another Pentecostal, nondenominational church in Houston. As she communicated it to me, she wasn’t bitter or disgruntled as she left Lakewood, but in search of deeper religious knowledge. So, yes, I think your gateway or port of return metaphors work well to explain this in a qualitative sense. I hope someone is able to assess this reality quantitatively one day. That would make for a fascinating study. You seek to situate Joel Osteen and Lakewood Church in a historical stream of neoPentecostalism. Why do you think this is important? 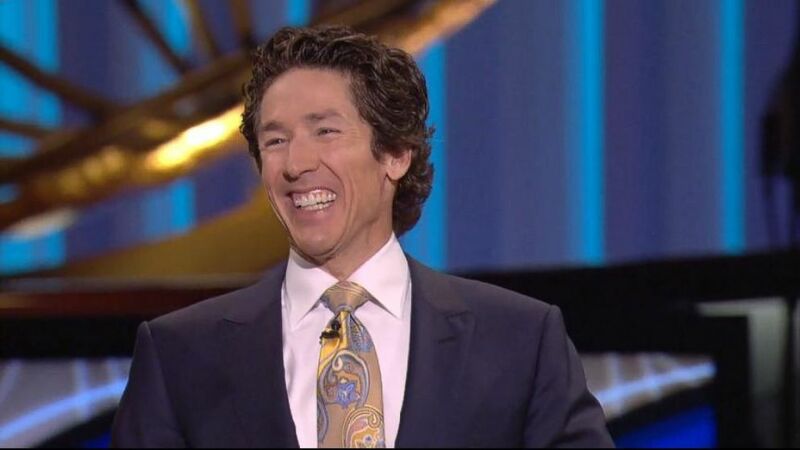 I think understanding Joel Osteen and Lakewood Church in light of neopentecostalism is crucial because it highlights the interconnected networks between several generations of neopentecostal and prosperity ministers and ministries. It also historicizes Osteen’s career from television producer to minister, which in turn contextualizes the providential narrative he has used to describe how he became Lakewood’s pastor. Finally, situating Osteen as a neopentecostal allows us to track one chapter of the prosperity gospel and articulate some of reasons why Pentecostalism and neopentecostalism remain popular expressions of Christianity today. Placing Joel Osteen in the historical stream of neopentecostalism highlights how the message of a second chance or spiritual makeover—an opportunity to start over and remake something—is, we might say, quintessentially American. I’m not the first or only scholar to connect this idea in Pentecostalism to American culture. There is also something, it seems, culturally important in terms of why a message of second chances resonates in a therapeutic era. The historical moment of Joel’s ascendancy emblematized this message. Here I’m thinking of the rise in popularity in the 1990s and 2000s of reality TV shows that, ironically, scripted a second chance or makeover of some sort. Here I’ also thinking of Kathryn Lofton’s fascinating book on Oprah, who figures into the larger cultural significance of remaking oneself into something new. Also, you place Joel Osteen in a place to benefit, in terms of ministry, from the crisis in evangelical leadership. Yet, many of his evangelical critics would place him on the outside of evangelicalism. What do you have to say to these critics? I’m not so sure it is evangelicalism’s crisis in leadership—although examples surely abound—as much as it is evangelicalism’s philosophical framework. Building on Molly Worthen’s excellent book Apostles of Reason in the final chapter I point out the irony between Osteen and his critics, especially those part of the New Calvinist movement. A group of theologians and pastors focused on intellectualism and Reformed theology, New Calvinism’s philosophical orientation prizes divine sovereignty, predictability, order, and control. Ironically, Osteen’s message of positive thinking and positive confession is also highly predictable and exceptionally redundant. Let me put it further this way: Osteen’s New Calvinist skeptics, whose theology has prized God’s absolute orchestration of human affairs, by the very nature of their anxious criticism, have assigned Osteen a tremendous amount of material and historical agency. This seems to belie the New Calvinists’ convictions about God’s sovereignty. The utter predictability of Osteen’s message of God’s favor and goodness has exemplified the same predictability towards which the New Calvinists’ propositional theology has aspired. Using the same Bible, and engaging in similar acts of interpretation, Osteen has promised unfettered possibility while the messages of his critics have emphasized theological aspects of conformity and order. Both have promoted a certain kind of predictability. Philosophically, therefore, Osteen and his critics have seemed more alike than different. While both parties have rooted their messages in particular interpretations of the Bible, they have also deployed defenses of their positions from Christian scripture in reply to one another. In my reading of this larger story, this shared basis of conflict in not just an example of doctrinal infighting. It is an illustration of deeply embedded intellectual conflicts in the evangelical tradition out of which both Osteen and the New Calvinists have attempted to leverage the widest possible influence on American culture. It is fascinating history. While Salvation with a Smile is about Houston’s largest religious attraction, I explain in chapter 4 that Lakewood is not the sum total of religion in Houston. Yes, the city is home to the nation’s largest megachurch—and one of the nation’s most ethnically and racially diverse congregations in the nation’s most racially and ethnically diverse metropolitan areas—but Houston is also home to numerous Roman Catholics and a Cardinal, His Eminence Daniel DiNardo. Yes, the city is home to several of the nation’s largest megachurches (e.g., Second Baptist Church, Woodlands Church, New Light Christian Center, Windsor Village United Methodist Church, etc. ), but is also home to botanicas that have serviced Houstonians who practice religions such as Santería. Local traditions practiced by some of Houston’s Mexican immigrants have also shaped the religious lives of devotees to Santa Muerte, a Mexican folk saint. Then there’s the Catholic Charismatic Center, home to Pentecostal Catholics. One of the places to track some of these developments is the Houston Area Survey, conducted now for 3 decades out of Rice University’s Kinder Institute. Houston is an exciting and important place to study national and global religious trends—and not just because of Lakewood Church. You emphasize how important Osteen Ministries’ grasp of new media trends is key to their success. What other religious currents seem to be doing similar work, Christian or otherwise? Joel’s first career as a television producer and religious broadcaster oriented his outlook to present religious messages across new media platforms. As it happened, his emergence to public prominence that started around 2004 tracked simultaneously with the rise of new media/social media. This is one of the reasons why Joel Osteen became Joel Osteen. I’ll offer an example from Houston that readers may not be aware of: Fr. Cedric Pisegna. He’s a Passionist priest with a ministry called “Live with Passion!” that presents positive messages in the Joel Osteen vein. An advocate of the “New Evangelization,” Fr. Cedric’s teachings across social media and television have commonly encouraged the quest for joy, inspiration, happiness. Moreover, presentations with titles such as “Challenges Make Champions,” “The Power of Positivity,” and “You Are God’s Champion,” not only reflect the Roman Catholic Church’s outreach techniques in the New Evangelization, they also echo the promise of possibility that has been part of Houston’s cultural identity. What do you think reactions to book will be like? I hope Christians who pick up the book give it a thorough reading, regardless of whether they like or dislike Osteen. I didn’t write the book as someone interested in participating in any intramural debates amongst Christians, or even evangelicals or Pentecostals, but I do hope these constituencies read the book. In terms of feedback, on a recent radio program out of San Antonio called “The Source” produced by Texas Public Radio on which I discussed the book, the questions callers asked referenced the doctrines Osteen preaches, as well as the larger prosperity gospel movement. Both callers seemed very skeptical of Osteen. In the academy, I hope the book is a worthy contribution to the burgeoning and excellent scholarship already published on contemporary American Christianity, the prosperity gospel, and neopentecostalism. In terms of methodology, I hope scholars deem that I’ve somehow succeeded in sufficiently historicizing a contemporary subject, both through traditional historical archival research but also through ethnographic participant observation. In addition to my work on evangelicalism and Pentecostalism, I’m also a scholar of African American studies. In this arena, I have several projects in the works on the political and intellectual work of W. E. B. Du Bois and I’m working on a short biography of the playwright, author, and essayist James Baldwin. In the field of American religion, I’m continuing my work on Lakewood’s history in several ways. Building on the first two chapters in Salvation with a Smile on John Osteen, I’m writing more on his role in the neopentecostal movement and the politics of religious leadership. Research Joel and religious programming got me interested more specifically in the cultural meaning of televangelism, so I’m actively researching the historical and cultural significance of recent televangelist scandals. Biography: Phillip Luke Sinitiere is Visiting Assistant Professor of History at Sam Houston State University. He is author or editor of several books, including Holy Mavericks: Evangelical Innovators and the Spiritual Marketplace (NYU Press, 2009). Last week I was at a church in St. Louis encouraging Christians to build relationships of peace with their Muslim neighbors. Exhorting everyone in attendance to look beyond the headlines I promised that they would often find hospitality and friendship not hostility and violent fundamentalism. I received follow-up e-mails, as I often do after public engagements, asking about Islamism and terrorism. Then, Friday night I received a message with the subject line, "What do you have to say for yourself now?" The e-mail linked to news stories unfolding in Paris where a volley of nearly simultaneous attacks rocked the French capital and left 128 dead. Daesh -- the Arabic name for ISIS -- claimed responsibility for the attack and immediately the specter of religious inspired terrorism manifested itself again. At the same time, I saw prayers for peace on a Muslim Facebook page and heard stories about the ministry of a Houston imam visiting prisoners with grace and goodwill. Mixed with the sadness over the chaos in Paris was confusion, and questions, over which represents Islam. Is Islam that which inspires acts of brutalism in city streets? Surely, millions of Muslims would protest, using hashtags like #Iamnotaterrorist alongside messages of support and solidarity (#JeSuisParis or #PrayforBeirut). Or is Islam that which brings students from a local university to visit a masjid and the hundreds of faithful gathered for prayer to extend warm hospitality? Perhaps, it is both...and much more. That response can prove unsettling and unsatisfactory. Yet, it may be the most accurate and fruitful.